The Great Big Bertha Epic Star driver is Callaway’s lightest driver ever and works together with revolutionary Jailbreak Technology that radically changes how the head behaves at impact to promote faster ball speed and to help players of all types break their personal distance barrier. The 4th Generation Face Cup Technology is more efficient at delivering faster ball speed across a larger area of the face, especially on mis-hits, for increased average distance while the innovative titanium Exo-cage construction moves more weight to the perimeter for high MOI, high launch and low spin. The streamlined head features Callaway’s Speed Step technology to improve airflow for more swing speed and distance without extra effort. 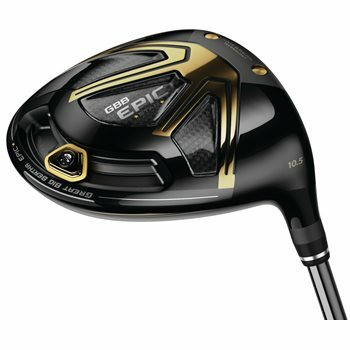 The Great Big Bertha Epic Star delivers epic performance in an ultra-premium lightweight package.